The firm will use the office primarily for infrastructure and mid-cap investing. 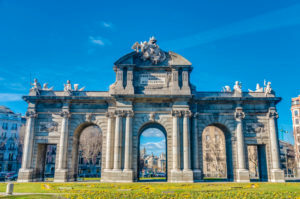 Ardian has opened an office in Madrid, making it the eleventh office at a global level for the independent private investment firm, according to a statement from the firm. Paris-based Ardian isn’t planning to have dedicated secondaries activities operate from the new Madrid office, according to a spokeswoman, but the firm’s secondaries strategy is global and it relies heavily on its primary activity and on its fund monitoring around the world to assist in secondaries transactions. “The opening comes at a time of increased investment opportunities in Iberia, and will reinforce Ardian’s relationship with large corporations, its local partners and clients, and with major private equity and financial players in Spain,” the firm said in the statement. The Madrid office will initially have two teams, infrastructure and mid-cap buyouts. They will be led by managing directors Juan Angoitia and Gonzalo Fernandez-Albiñana respectively. Ardian has invested €900 million to date in infrastructure in the Spanish market, including joint investments. Its mid-cap buyout team, already active in France, Italy, Germany and the UK, will use this on-the-ground presence to complete its first investments in Spain, according to the statement. Ardian, which is majority-owned by its employees, was founded in 1996 and is led by Domonique Senequier. It has about $50 billion of managed or advised assets in Europe, North American and Asia. The firm is currently in the midst of raising its seventh dedicated secondaries fund targeting $9 billion, Secondaries Investor revealed in May.